In my explanation, I will discuss the individual software applications as the process is completed and I will get into more detail as I create the tutorials for each application. The toolchain can contain as many as three software applications, or as few as one. Because we are cheap... well, I should speak for myself. The more appropriate word would be "poor". The latter of the software selections of only one application would be to purchase a CAD/CAM package. CAD, or Computer Aided (Assisted) Design and CAM, or Computer Assisted Manufacturing, can reside in a single application; however, the cost can be astounding. There are some applications that are relatively inexpensive, but did I mention I am poor? In this three program toolchain, an intermediary application is needed to link the CAD to the CAM. It's actually a part of the CAM process. So, you have a DXF file, say it's named citymodel.dxf. This DXF file needs to be converted to G-Code (a file that is understood by the last software application). My personal recommendation, because I'm cheap, is "Ace Converter". It converts the DXF file to g-code and enables you to set specific parameters for each layer. What's a layer, you ask? I will get into that in more detail later... patience... patience. Another application that can be used is LazyCAM by Artsoft. It may cost a little, but it may be worth it. The final software application is the one that this video is all about. So now we need that g-code to be shoved into the machine so the object can be formed. Mach3 is a perfect application for this part of the process. 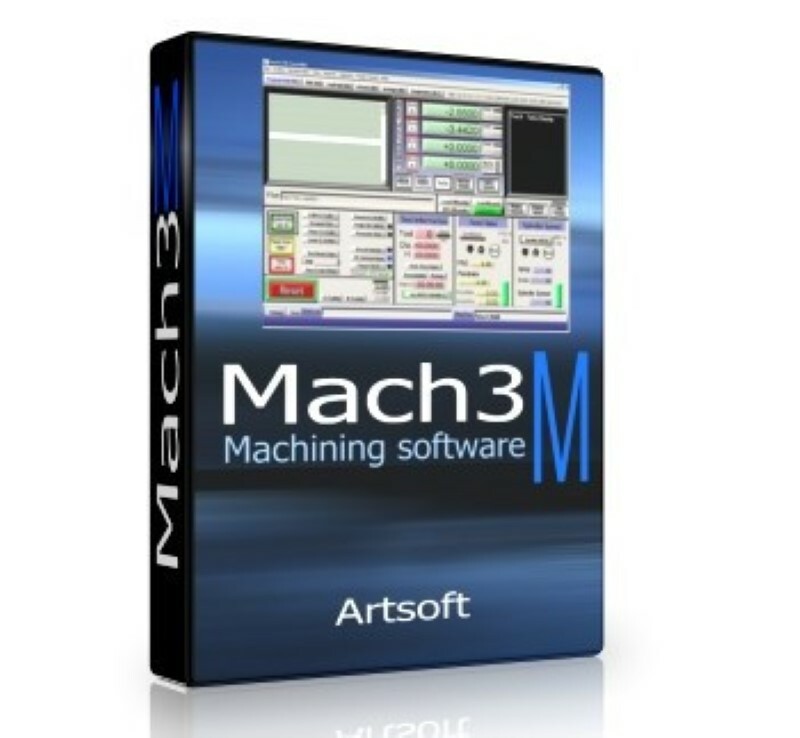 Mach3 is also created by the folks over at Artsoft. They offer an evaluation version that allows you to run 500 lines of g-code. This application also serves as the tool to configure the connection to the actual CNC machine. Mach3 will read the g-code and output signals to the machine that invoke the driver and motors. Mach3 can also control such mechanisms as coolant, spindle speed, limit switches, e-stop, other axes, and many others. Artsoft has many wonderful video tutorials on their line of applications. So, first we need an application to design an object that we would like to cut out on the machine. It's the CAD application. I personally use AutoCAD... I know, I know... I said I was poor. I'm playing with the 30 day intro of the program, and I just happen to be well versed with this CAD program. I actually recommend "Solid Edge Free 2D Drafting". It's free, and as an AutoCAD user, the learning curve is short. Another great program is A9CAD. Whatever CAD application you select, make sure you can save the file as the DXF filetype. If you're partial to Linux (I'm partial to both Linux and Windows... I have a serious bi-polar disorder), you can use a program called EMC2. EMC2 will perform the same tasks as Mach3 with fewer visual bells and whistles... it's a matter of taste, I like both. If you like writing instructions in g-code, EMC is a great tool. I'll also get into teaching g-code instructions later as well. In the next step, step number 35, I will explain the entire installation process for EMC2. If you're hearing the word Linux for the first time, then this tutorial will be for you. You will fall in love with Linux as I did many years ago. Images can also be used to develop g-code to create an embossed (bas relief) image on the piece to be cut. I will not get into detail with this method. Mach3 has a tool that can convert an image to g-code. There are also other applications out there on the web that can perform this job, so if you're interested in this method, Google it.